Hello and happy Tuesday. It's time for another challenge at CASology. 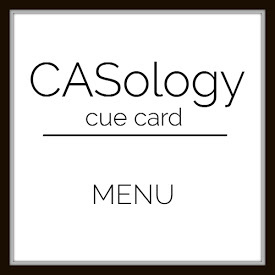 This week, our cue word is MENU. I had this cute image stamped when I was visiting Tracey. 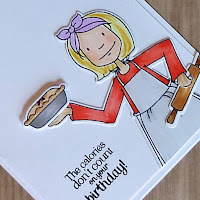 So, my card says "Pie is on the Menu!!" And, lucky for you if it is your birthday, because then the calories don't count. Now it's your turn. How does MENU inspire you? I hope you play along this week. Please remember to keep it Clean and Simple. Our Guest Designer is Ishani. 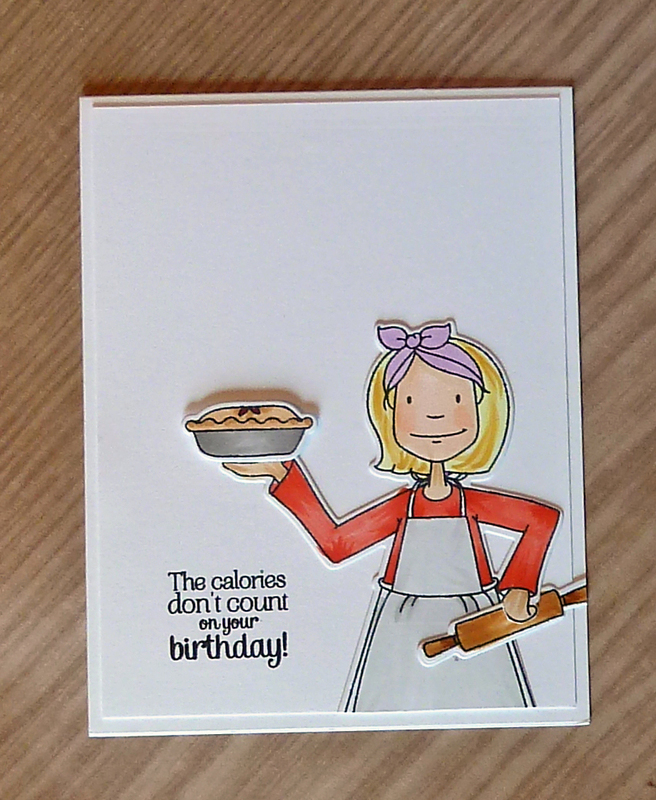 she is just too darn cute...and love the pie on the menu too, please make mine apple! She's adorable--and wonderfully colored! Love that she baked a pie rather than the traditional cake. And even better without calories!! Hope that no calorie pie is a pumpkin one! This is cute Joyce! Great sentiment to go along with the baker lady and scrumptious looking pie, Joyce. Baker Lady has to be one of my most favourites! 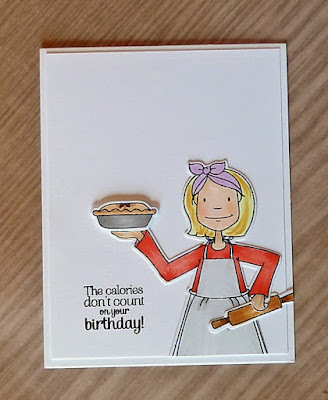 Such a cute card and great sentiment! If that's the case could i celebrate my birthday everyday, to stay calorie count free? Fun Card!! Fun card, Joyce! I love your composition and coloring!